Hartjesdagen (Hearts Days) is a unique event with a tradition that probably dates back to medieval times. Traditionally it is celebrated on the third Monday of August. 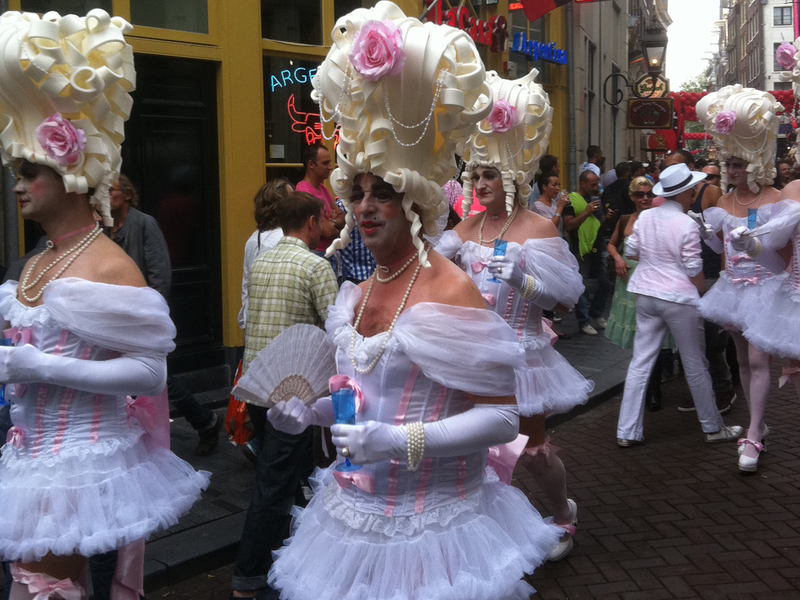 Already the night before the Zeedijk is full of fun, festivities activities, but the highlight is the parade and competition for best dressed man/woman, woman/man on Monday afternoon. This is truly a unique event that is not to be missed when in Amsterdam. What? Cross dressing as a traditional festivity from the medievals? 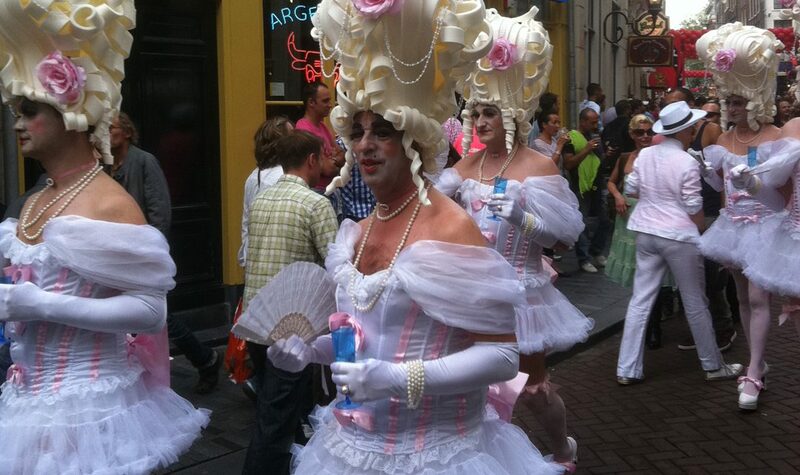 The tradition is for men to dress as women and women to dress as men. There are several explanations of how Hartjesdagen started. No matter what explanation you hear, they all lead back to the medieval period. The most official explanation says it is the one day in August that the work people were allowed to hunt for deer in the woods around Haarlem. The day ended with a great feast meal and a lot of beer, music and dance. 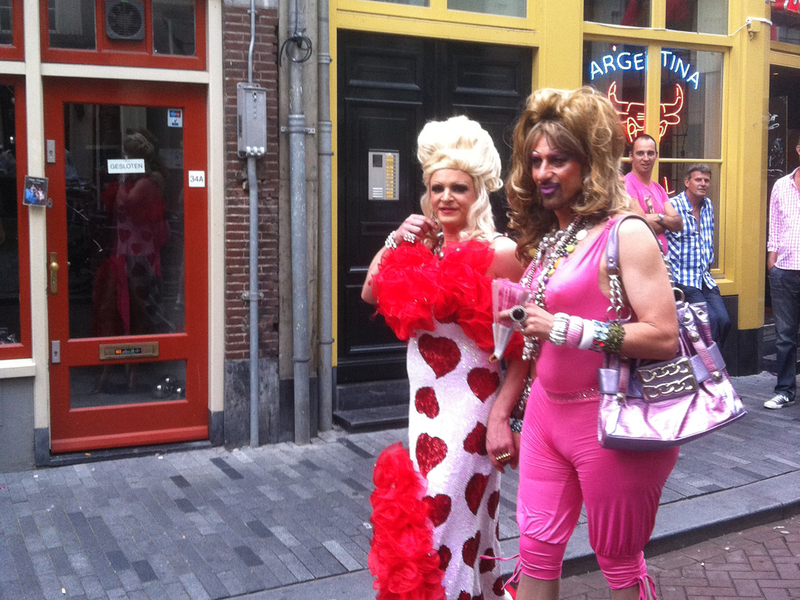 I can only guess how the cross dressing was introduced in the festivities, after all the beer that was probably consumed… In Amsterdam, Hartjesdag was especially popular in workers quarters, Jordaan, Haarlemmer Neighbourhood and around the Zeedijk. Over time this festive day turned more into something carnival like and became known as Hartjesdagen – a deer is called “hert” in Dutch – heart is called “hart” in Dutch. With a strong Amsterdam accent – and a lot of alcohol – “hert” can easily be heard as “hart”. 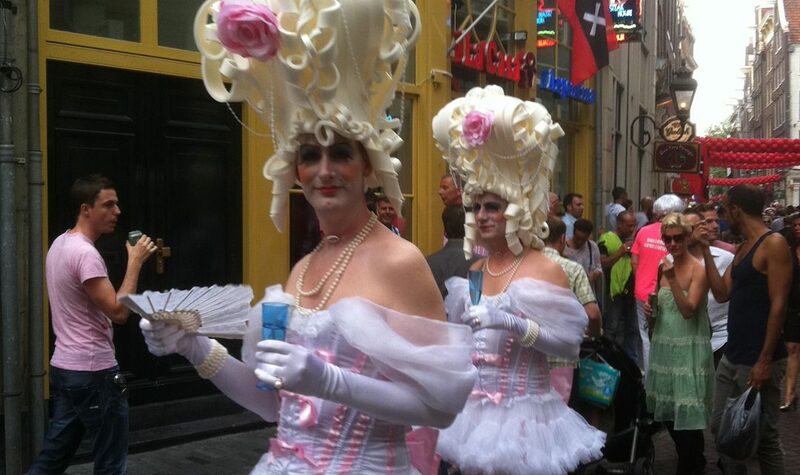 During World War II Hartjesdag was prohibited and only resurrected when in 1997 the entrepreneurs on the Zeedijk reintroduced this festival. Soon this event grew into an incredibly popular event for a many locals and tourist alike. 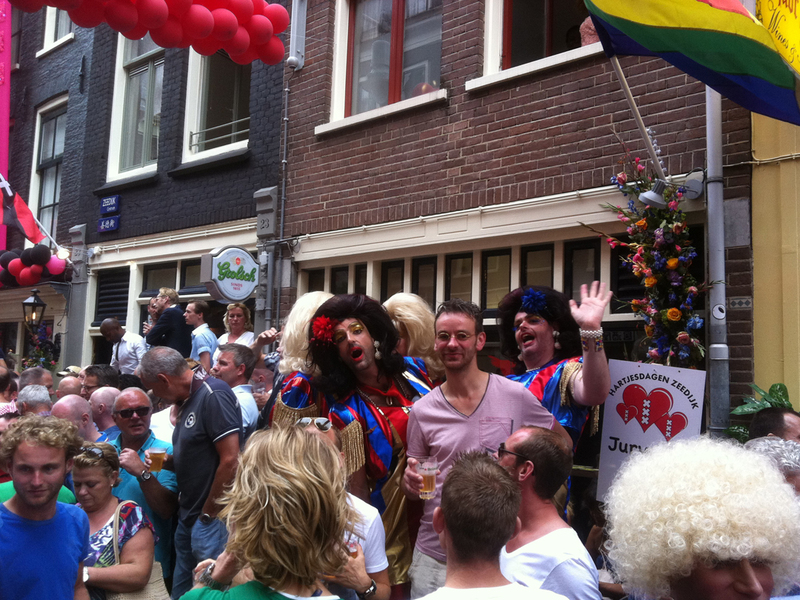 Estimates are that Hartjesdagen attracted around 40.000 visitors over the last few years. Due to their own popularity, the organisation was too expensive and too much for the limited resources they have. 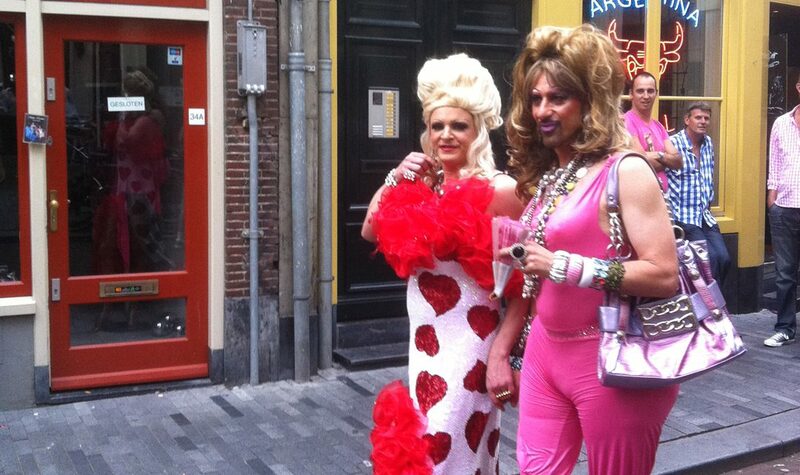 For a few years Hartjesdagen did not take place. Luckily in 2016 they found a way to organise this fun festival again. Starting with the Night of the Romance on the Sunday night. Cafes and restaurants will held smaller scale activities and performances. Best is to just wander around the area and stop where you like the music and atmosphere. 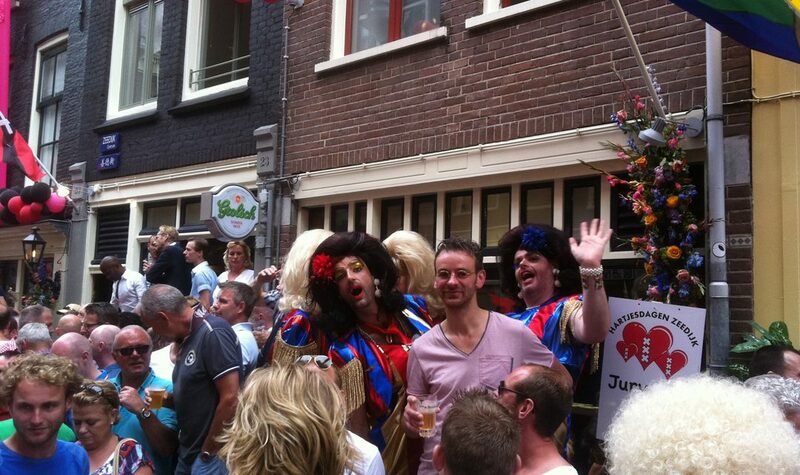 On the day of the parade – the Monday – the Zeedijk is packed and at some points it is difficult to move forward at all. Earlier in the day till early afternoon, the Zeedijk will be closed for public completely, for a neighbourhood brunch. When the tables have been cleared the parade will start. It is great to see the effort that all men/women and women/men have made dressing up. 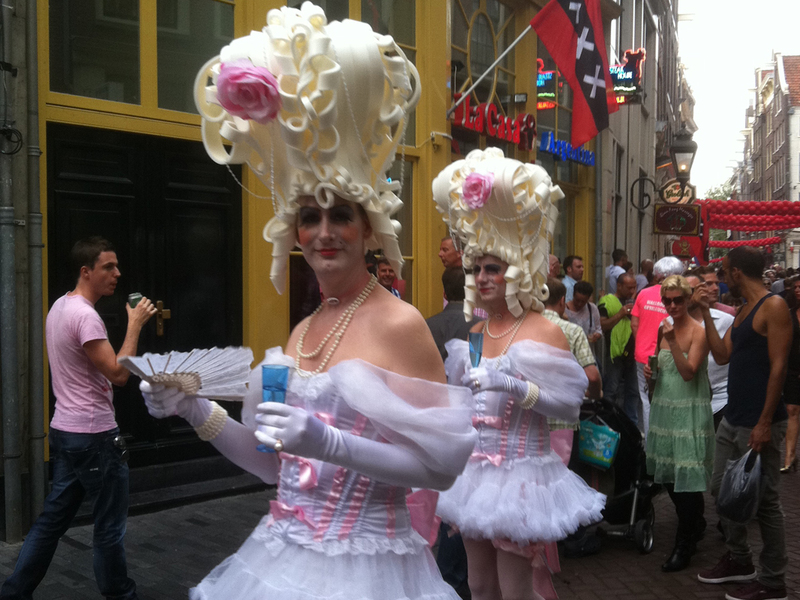 Just get something to drink and get out on the street and the colourful people will parade right passed you. And don’t be afraid of the flirty cross dressers, drag kings and drag queens. It is all harmless play. We give a 1 for Social consciousness, as this quirky festival is raising awareness for the diversity of people. Even though it did not originated this way. Unfortunately we do not have any information (yet) regarding how sustainably Hartjesdagen is run.